It is 2015 and the US government’s war on environmental activists and animal liberationists is still being waged. With the sentencing hearings for Tyler Lang and Kevin Olliff nearing, we are reminded of the backwards and arbitrary logic the State uses to deem who are “terrorists.” The truth is, those in power will always villainize those who seek to liberate and valorize those who seek to carry out the real destruction. 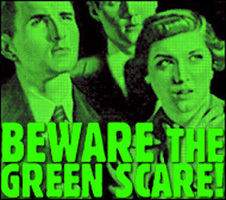 In light of the coming holiday, we are sending Halloween cards to targets of the Green Scare. Since the early 1980s, public relations hacks have been working to reify the term “eco-terrorism.” By 2004, they became successful and a phrase that a decade earlier had no real meaning was now defined by the United States government and used to introduce legislation. In the face of global ecologic destruction and animal torture, those who try to end the suffering are the one’s labeled terrorists. Join us in letting the ones who have ultimately been captured by the feds know that they have not been forgotten. The deal, as always, is that you come bringing only yourself (and your friends and comrades), and we provide you with a delicious vegan meal, information about the prisoners as well as all of the letter-writing materials and prisoner-letter-writing info you could ever want to use in one evening. In return, you write a thoughtful letter to a political prisoner or prisoner of war of your choosing or, better yet, keep up a long-term correspondence. We’ll also provide some brief updates and pass around birthday cards for the PP/POWs whose birthdays fall in the next two weeks thanks to thePP/POW Birthday Calendar. BK/NY – Tuesday, November 10th – Letter Writing for Eric King Illustrated Guide Version 10.7 Now Uploaded!